Losing a loved one is one of the most difficult and devastating life events a person will experience. While there's nothing you can do to remedy the situation, you can certainly let your friends or loved ones know that you're there for them in their time of need. Even if you're not sure what the appropriate behavior is when someone else is grieving, there are several things you can do to show that you care. When you first learn that your friend or loved one has suffered a loss, consider how close you are to the grieving person. If you are more of an acquaintance, wait a day or two to pay your respects. 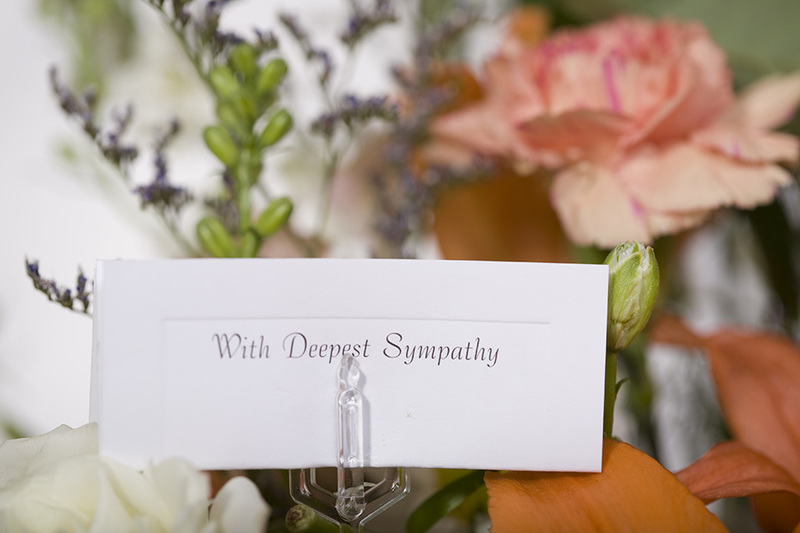 It may be more appropriate to send a letter, email, or card of sympathy if you are not close with the bereaved. If you are very close, phone or visit them as soon as possible to offer support. Keep the call or visit brief and express your sympathy at that time. Remember that they are likely overwhelmed at this time, and may not have time or energy to spare on social graces. During a time of loss, it's often difficult for the person who's left behind to tend to their daily needs. Offer to run errands for them or help with them housework. Something as simple as picking up a prescription, getting a few groceries or picking up dry cleaning can be very helpful during this period of time. Most likely their time will be taken up with making the final arrangements for the deceased and it may be hard for them to take time out to keep the household running. Don’t put pressure on them to accept your help, or take it personally if they decline. They may simply want to be left alone, and you should respect their wishes. Preparing and dropping off food is another way that you can show you care when someone close to you has lost a loved one. Make one or two dishes that you can drop off to the grieving person to help feed the friends and family who will most likely gather before and after the funeral. Casseroles, soups and stews are all dishes that are easy to heat up and taste just as good even when eaten a day or two later. If cooking isn't a skill you possess, you can have food delivered or pick up something at a local deli or bakery. Families often appreciate receiving floral arrangements when they've lost someone. It lets them know that you're thinking of them and shows respect for the person who's passed away. Flowers are also a simple reminder of life and beauty during a dark time. A florist can help you select an arrangement that is tasteful and will work with you to find something that's within your budget. Sign the card with a heartfelt sentiment. Another way to be there for a friend or loved one is to attend the viewing and funeral service. If the deceased observed a different religious tradition from your own, simply ask the clergy member what is an acceptable level of participation in the service for someone who isn't a member of the religion. For example, everyone is welcome at a Catholic funeral, however, non-Catholics are not permitted to receive Holy Communion during the service. Learn the proper etiquette beforehand to avoid any uncomfortable moments. After the funeral, life goes back to normal for those who weren’t as close to the deceased. But for those who deceased person best, the grieving process is just beginning. It is during the weeks, months and years following the loss that the bereaved person will need support the most. While they were probably carried forward on a sea of momentum and adrenaline during the funeral preparations and service, now they are left alone to learn to live with their loss. Visit them periodically for a chat, invite them to get out to some low-key events with you when they feel up to it or telephone to let them know that they're on your mind. While words can never truly express the deep sense of sympathy you feel for someone's loss, actions can go a long way to let them know you care. By reaching out to the bereaved and assisting them in any way you can, you can show how much you feel for them during this time.